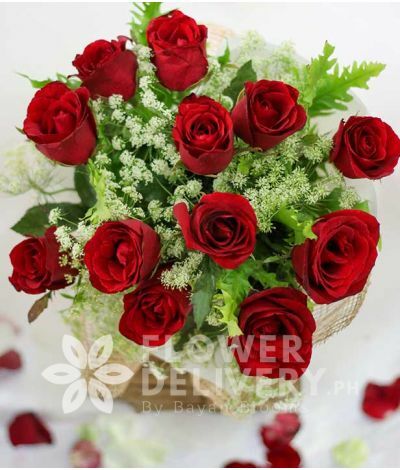 A round bouquet consists of 16 pcs. wrapped rainbow mixed tulips with a pink ribbon.. 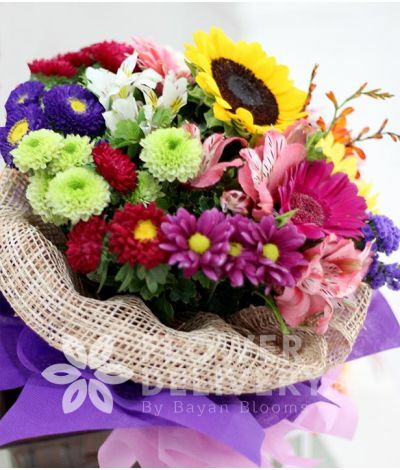 This round bouquet of mixed colorful flowers consists of stargazers, gerbera, with fillers of assort.. This round bouquet of mixed colorful flowers consists of 2 yellow lilies, gerbera, with fillers such..
A round bouquet of 1 Dozen yellow roses and 1 Dozen peach roses. Accentuated by pink rice flowers, W..
A round bouquet consists of 14pcs. assorted tulips.. 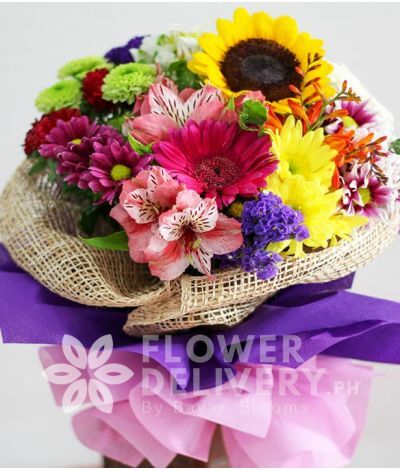 This round bouquet of mixed colorful flowers consists of sunflower, gerberas and other colorful fill..
An arm bouquet of 6 pieces Sunflower with 8 pieces of Lilies.. This round bouquet of mixed colorful flowers consists of a yellow lilium, gerbera, with fillers of a.. The product consists of a round bouquet of 1 Dozen yellow roses and 1 Dozen peach roses with Mug for..
An arm bouquet of 1 dozen red roses..